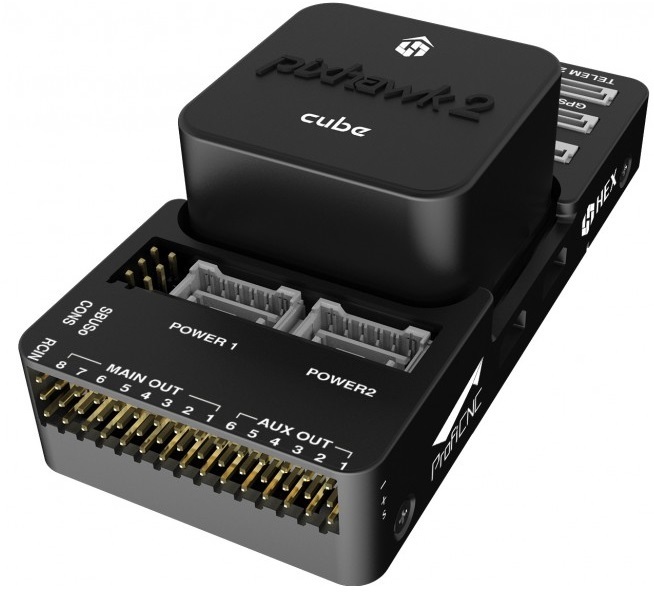 The entire flight management unit(FMU) and inertial management unit(IMU) are housed in a reatively small form factor (a cube). All inputs and outputs go through a 80-pin DF17 connector, allowing a plug-in solution for manufacturers of commercial systems. Manufacturers can design their own carrier boards to suite their specific needs. This section details the pin assignments of the standard carrier board of The Cube. There are other types of carrier boards available, please refer to the manufacturer pages for pinouts of specific carrier board. Official retailers are listed here. The reference design files of the standard carrier board are available in github, this serve as a starting point for designers to design their own system based on The Cube flight controller.